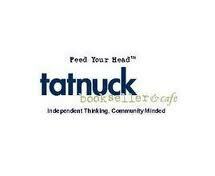 The book talk/signing at the Southborough Library finally — finally! — happened after being rescheduled three times following snowstorms and a bout of the flu. Parents of current and former Trottier Middle School students who attended the reading at the library (see video below) told me they were mentally and emotionally brought back to the days when our children roamed the halls of the middle school, when some of the kids played music for Mr. Clark, and when all of the students mourned the loss of their friend, Eric Green. Two days later, Mr. Clark and I chatted about Mr. Clark’s Big Band with music fans at the Claflin Hill Symphony Orchestra’s final performance of the season, a season in which music educators were celebrated. Some current Trottier Middle School students attended the show in Milford’s historic town hall and stopped by to greet Mr. Clark, who couldn’t play the trombone with his pals in the Claflin brass section because he recently had elbow surgery (see the sling he’s sporting in the photo below). Several folks also paused at the book table to fondly remember former Algonquin Regional High School music director Dennis Wrenn, the man who helped Mr. Clark get his job in the Southborough school system and who is mentioned several times in Mr. Clark’s Big Band. It can sometimes seem like a small world indeed. 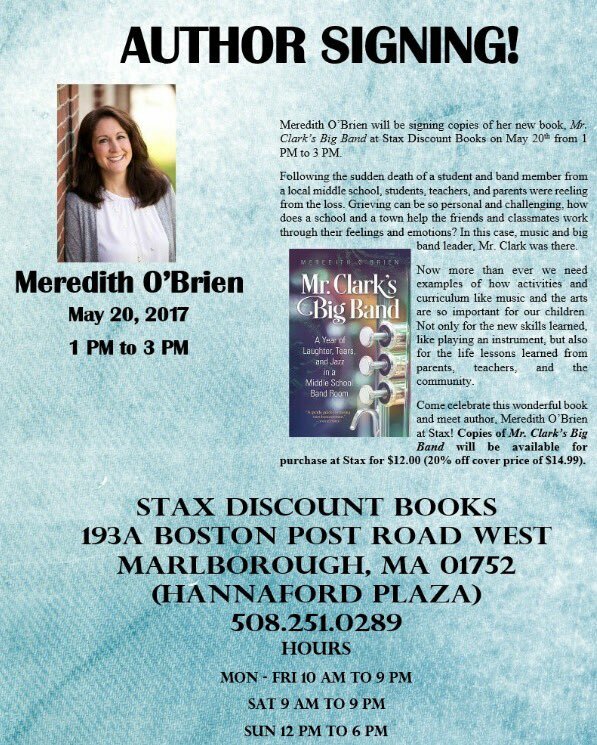 The Milford (MA)-based Claflin Hill Symphony Orchestra — for which Mr. Clark plays the trombone — has invited me to sign copies of Mr. Clark’s Big Band at their final concert of the season on Saturday, April 28 at 7:30 p.m. The concert will be held at the beautiful Milford Town Hall, 52 Main Street, Milford. 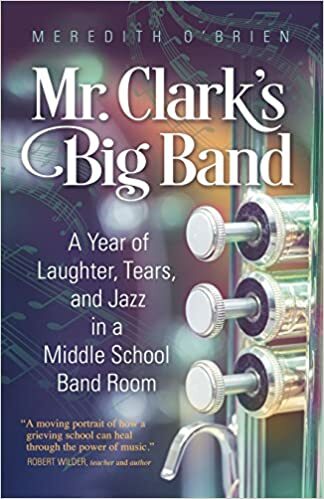 Mr. Clark, who will not be playing due to an elbow injury, will be joining me as we sign books, discuss the importance of music education, and talk about the process of writing the tale of his 2012-2013 Trottier Middle School jazz band. Image credit: Claflin Hill Symphony Orchestra. The Claflin Hill Symphony Orchestra in Milford, MA — for whom Jamie Clark plays the trombone — will be honoring music teachers on Tuesday, August 22 at 6:30 at the Milford Town Park. 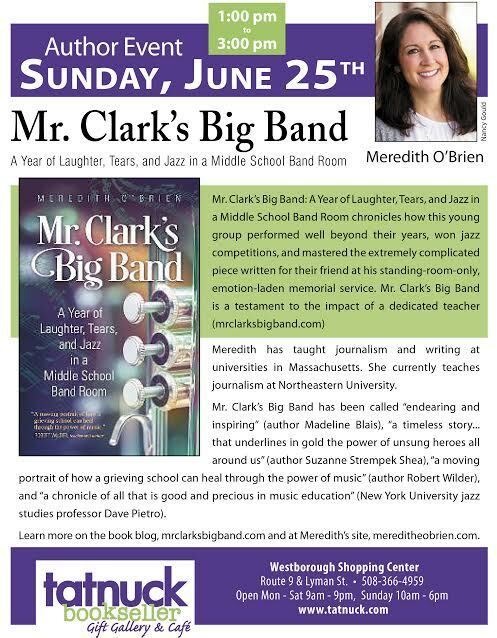 Signed copies of Mr. Clark’s Big Band, whose main character is a hero music teacher from nearby Southborough, will be available at the performance.